The Alfa Romeo Owners Club of Australia is one of the largest single-marque automobile clubs in Australia. The Queensland state-division of AROCA, founded in 1975, offers its members the opportunity to participate in a wide range of competitive and social events. 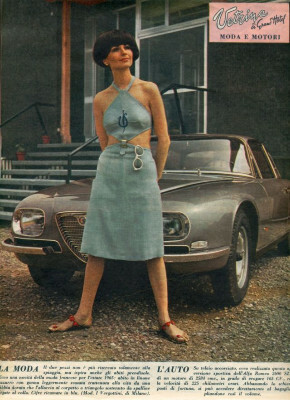 All models, ages and conditions of Alfa Romeos are appreciated by Alfisti. So, whether you have just taken delivery of a brand new car, or are only beginning the restoration of a older model, you will be warmly welcomed into the Club. AROCA (Qld) is incorporated and has a formal constitution. The club is managed by a Committee of office bearers elected each year at the Annual General Meeting. Joining is easy. 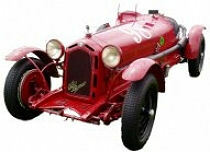 An annual membership also includes a subscription to Per Sempre Alfa, the Club magazine. Don't delay; join now! For more information about the Club or any of the activities, feel free to contact a Committee member. In 1958, during a celebrated murder trial, the defence case claimed it was impossible to drive from Milan to Malpensa in less than an hour in an Alfa Giulietta. So the prosecution tried it - and succeeded. The defendant got life imprisonment.